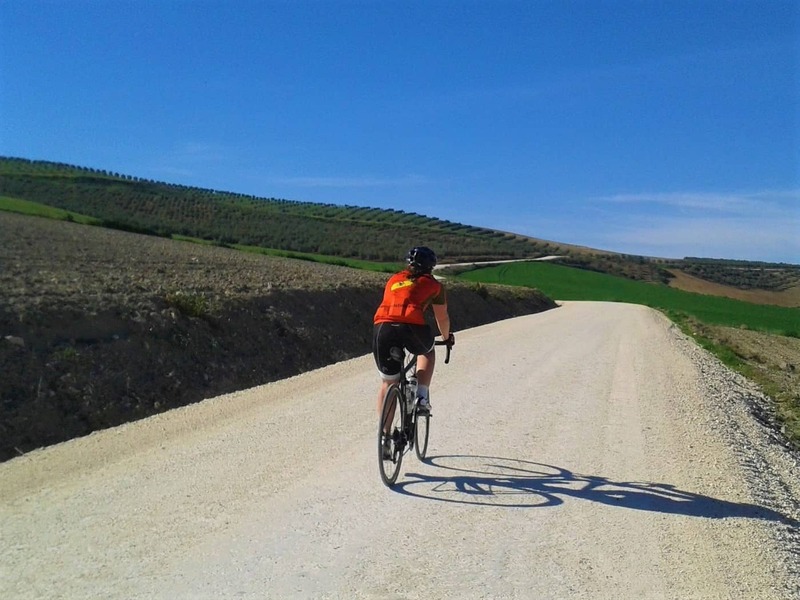 This guided cycling tour combines the incredible history and the beautiful scenery of the Andalucia region in the south of Spain. 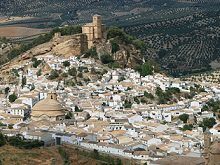 For a history enthusiast, this tour provides a fantastic picture of the rival influences in Andalucia over the past two thousand years. As we cycle through the beautiful countryside and towns we encounter some of the most impressive sites from the Roman epoch, the Muslim caliphate, the Reconquista and the Spanish Golden Age. And you will learn about how figures such as Julius Caesar, Hadrian, Hannibal, Charlemagne, Abd al-Rahman, Averroes, Maimonides, El Cid, Ferdinand & Isabella, Tomas Torquemada, Christopher Columbus, Ferdinand Magellan, Philip II, Louis XIV, Francis Drake and Napoleon Bonaparte, have played their part - for good or for bad - in shaping a region which boasts a unique and fascinating cultural identity. On this tour you stay in fine boutique hotels, all housed in impressive historical monuments, and visit many of the castles, cathedrals, palace and universities which made the region the cultural and academic center of the world from Roman times into the Early Modern period. 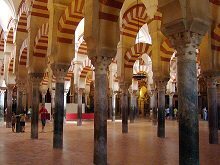 As well as visiting world renowned places like the Alhambra in Granada, Cordoba's Mezquita, the Giralda of Seville, and Ancient Italica, we also introduce you to some of the important lesser known sites inclduing: the Guadalquivir River where the Vikings landed in the 9th century; the House of Trade that commissioned voyages by Magellan, Columbus, Cortes and Pizarro; the small white village at the forefront of the Reconquista struggle and the palace city that was the finest in the world in the 10th century. And what better way to enjoy the history and scenery than by bicycle? 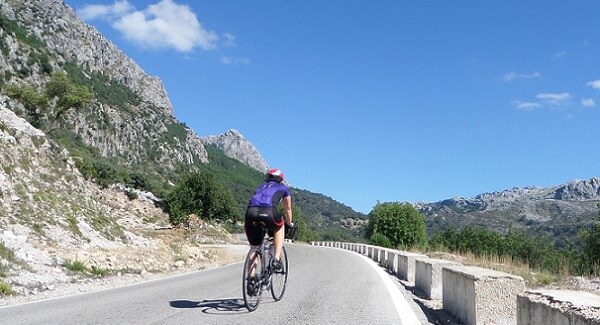 There are two different cycling options each day and the routes are largely flat or gently rolling, making the tour accessible and enjoyable for cyclists of all levels. The tour is fully guided, led by a qualified historian and fully supported allowing you to cycle as much, or as little, as you wish. The cycling tour begins when we collect you from Seville airport or train station. Seville is a vibrant and lively city with thousands of years of history within the city walls. After checking into the hotel, you can take advantage of our tour of the city; taking in the three UNESCO world heritage sights that lie in Seville, including the largest gothic Cathedral in the world. Seville was one of the most important cities in the word during both the Muslim rule of Spain and the 'Golden Age' of exploration (and exploitation). In the evening we will introduce you to Andalucia's favourite past-time: tapas dining. From our hotel in the centre of Seville we will take cycle paths out of the city and head towards the ancient Roman city of Italica. After lunch we continue to the town of Carmona; a beautiful fortified Roman town in the heart of the plains of Andalucia. This compact town has several structures of Roman, Carthaginian and Moorish construction which we will visit both on the way to and in the town itself. We leave Carmona on a pleasant trail passing orange fields, cactus and dry river beds. We then loosely follow the course of the Guadalquivir river. The river is a key part of the history of the region; it was used by the Romans to transfer troops, by the Muslims caliphate for irrigation, by the Vikings for raids and also a primary trade route for good arriving from the Americas. The hotel is housed in a 15th century monastery in Palma del Rio; a one-time lodging place of Christopher Columbus. Palma del Rio is a picturesque town which, more recently, was central to the resistance movement in Andalucia during the Spanish Civil War. From Palma del Rio we take a cross country trail on the edge of the Sierra Morena natural park, reaching the beautiful hilltop castle in Almodovar del Rio, which dates from the 8th century. 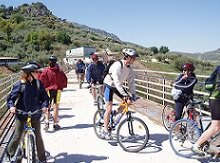 The cycling continues from Almodovar on a flat route running parallel to the omnipresent Guadalquivir River, before arriving into Cordoba - the largest city in the world in the 11th century, when it was the capital of Muslim Spain. 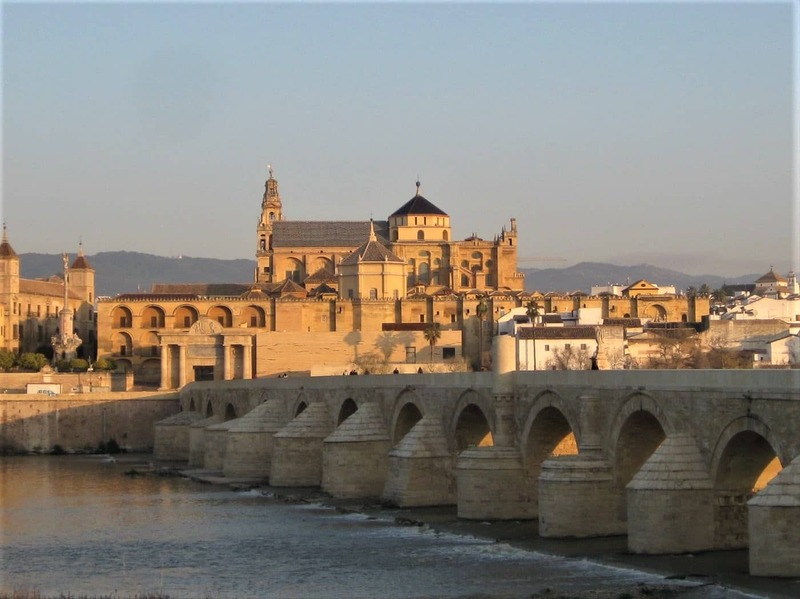 Cordoba contains many fantastic historic monuments, and is truly one of the great European cities. Today is an optional rest day in the stunning city of Cordoba. However, for those of you who would like to cycle more, there is a very pleasant circular route to the Medina Azahara. The Medina Azahara was constructed in the 11th century by the caliph Abd al-Rahman III at a time when Cordoba was the leading city in the western world for the sciences. The palace was incredibly ornate and designed to showcase the wealth and power of the Al-Andalus region. Today it is an active archaeological site, with more being uncovered each year. 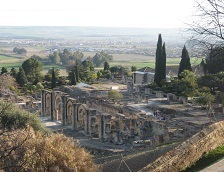 From the Medina Azahara, the route returns to Cordoba through the scenic Morena mountains. After the delights of Cordoba, the holiday continues into the tranquil Subbetica Natural park, home to millions of olive trees and excellent rolling cycling terrain. We stay the night in a beautiful cortijo inside the Natural Park, and just a short distance from Zuheros - a typical Andalucian white village. The picturesque town of Zuheros is home to a 12th century castle and also prehistoric caves containing neolithic paintings. 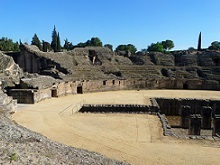 From Priego de Cordoba we stop at Almedinilla: a Roman village with an excellent archaelogical museum including the remains of a Roman settlement. The route then continues to the white village of Montefrio where you will stay in a converted 19th century olive mill. The scenery is very tranquil and picturesque, as you ride along a scenic valley route, with rolling hills all around. 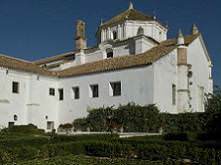 Montefrio is home to a 14th century Alcazaba which was constructed by the Muslim Caliphate of Granada to defend against a potential Christian invasion. The final day in the saddle leaves Montefrio and crosses the quiet Vega Natural Park, finishing in Granada - the jewel in the crown of Spanish history. In addition to the world famous Alhambra Palace, Granada is also home to the magnificent Albayzin district and an impressive cathedral. Although it is most famous for its Moorish heritage, Granada has been populated for nearly 6,000 years, and it was heavily shaped by the Roman Empire and the Visigoths before rising to global prominence under the Moors. Our cycling tour comes to an after breakfast. For flexibility reasons not everyone is able to spend more time in Granada. However, we recommend you stay for at least one or two more nights in this historic city and can happily arrange accommodation for you. Other extension options include visiting Madrid, Malaga or one of the coastal villages on the Costa del Sol. 8 nights accommodation in double, twin or single room with en-suite. There are two options each day. The shorter route is between 25km (15 miles) and 40km (25 miles). The longer route is between 52km (32 miles) and 79km (50 miles). You can choose on each day whether you wish to do the shorter or longer route, so have flexibility throughout the tour. If there are some days when you would prefer not to cycle, or would like to just do part of a route, you can go in the support vehicle at any time. Can non-cyclists come on the trip? Absolutely! Non-cyclists are more than welcome and will find a lot to see and do in this part of Andalucia. Non-cyclists have the option of following the group in the support vehicle, or spending longer exploring the towns and cities where we are based, before being transfered separately in the afternoon. If you do the shorter routes, this is an easy tour and is suitable for a first time cycling holiday. The daily distances are low and there is little climbing. The route is almost entirely flat between Seville and Cordoba (just a few short climbs up to the castles! ), while there are some gentle hills between Cordoba and Granada. Most of the route is on paved roads, although we follow some lightly gravelled cycle routes for short sections. We limit the amount of cycling in the cities and use cycle paths to avoid the traffic. The rest of the route is on minor roads which carry very few cars. The longer routes are of medium difficulty. Some are quite long, but they are still largely flat and so are comfortable to ride at your own pace. 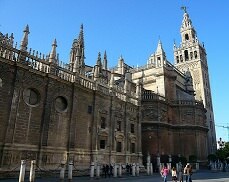 Seville is the arrival point for our Historic Andalucia tour. It has an international airport and also excellent train connections to the rest of the country. Madrid is just two and a half hours away by train, with departures every hour throughout the day. The departure point at the end of the tour is Granada. Granada has a medium sized airport with flights to a small range of international destinations. The nearest largest airport is Malaga, which can be reached in a couple of hours by bus. Madrid is four and a half hours away by train, and Seville three hours away. If you let us know in advance, we can also arrange direct transfers to Malaga airport for you (this carries a surcharge of €50 per person). We will collect you from and drop you off at the arrival and departure points. This can be anywhere in Seville or Granada (for example; the airport, the train station, another hotel). For this tour we recommend hybrid bikes, although we can also provide road bikes. The fairly low distances and lack of steep hills make hybrid bikes a good choice, allowing you to go at a leisurely pace and fully appreciate the surroundings. We run this tour in spring, autumn and winter each year. It is too hot in the summer to enjoy the cycling, so it is not possible to do in these months. Groups of more than six people please contact us to arrange the dates for a private tour. What do the meals consist of on this tour? All breakfasts and lunches are included on this tour, as well as the first evening meal in Seville. Snacks are also provided while cycling along the route. Breakfast is taken in the hotel and is a continental buffet style, with plenty of options to suit all tastes. Lunch is taken in a local restaurant and consists of a three course meal. The menu normally has three or four options for each course (including at least one vegetarian option) and is food typical of Andalucia and the rest of Spain. Dinner in Seville is taken in a traditional tapas restaurant. We provide table wine and water at both lunch and dinner. Andalucia is the warmest region in Spain with very mild winters and hot summers. We avoid the hottest time of the year and run the tours when it is most pleasant for cycling. When we run the guided tours, daytime temperatures are normally 20-25°C (68-77°F) - although some warmer or cooler days are possible. Rain is not common at any time of the year. We believe that the hotels that you stay in are just as important as the towns that you visit and the scenery that you ride through. On this tour we have chosen accommodation that really reflects the historic character of the region, and you will stay in some of the finest and most interesting hotels in Spain. In Carmona we stay in a beautiful ***** hotel which is a 16th century Renaissance palace. 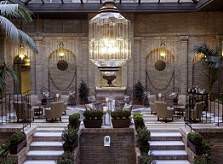 It is set in the old town and the individual rooms are beautifully styled with original works of art and antiques. In Palma we stay in a small hotel which is set in a 15th century monastery. It is in the town center, but also has extensive gardens which are perfect for relaxing and soaking up the charming atmosphere. Christopher Columbus stayed in this very building more than 500 years ago, while trying to his get funding for his voyage plans from Queen Isabella. This 'Hacienda' is a reformed 19th century farmhouse set on the edge of the village of Zuheros. It is beautifully surrounded by olive groves and includes an extensive spa, with Arab style thermal baths. Nearby Zuheros is home to neolithic caves, with original paintings, and also a hilltop castle dating from the 9th century. In the evening at this hotel we will sample the local olive oil. 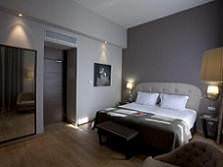 In Granada we stay in a fantastic **** hotel situated in between the Alhambra Palace and the Historic Center. It is a comfortable walking distance from all the major sights, inclduing the magnificent Albayzin district. The hotel itself is set around a traditional Andalucian courtyard. If you would like to do this tour in a group of more than six people as a private guided tour, please contact us and we can arrange a private guided tour starting on any date.